Hey Chris, I'm a friend of your cousin Liane. She sent me your Blog. Fascinating analysis! 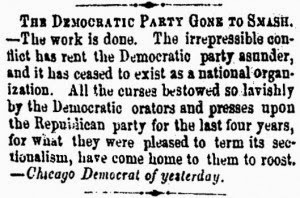 What a joy if today's Republican party split akin to the split in 1860!